Having spent more than half of my life working in the graphic design and communications business I have seen many design trends come and go. One thing that is certain, is the state of graphic design is in constant flux. This is reflected in “Graphic Design Today” an in-depth survey on progressive contemporary graphic design from Gestalten. In recent years, graphic designs relationship with adjoining disciplines such as illustration, three-dimensional installation art, industrial design, interactive design, UI/UX design has pushed the further development of the discipline. And this in turn is raising the bar for graphic designers. This book from Gestalten examines and documents the current state of graphic design, identifying some of the most visionary young designers at the top of their game with examples of their progressive design aesthetics in the printed form. 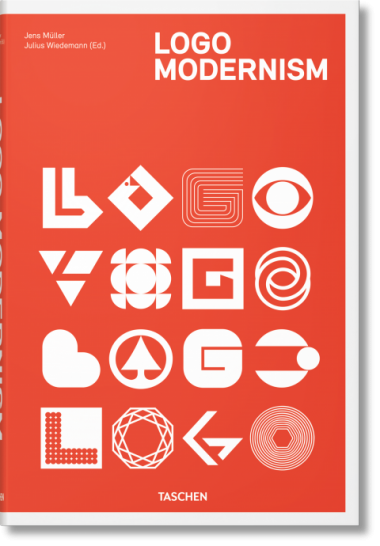 The book features a wide range of graphic design samples ranging from poster design, book, and magazine editorial design as well as typography. Most of the work is print oriented and shows a trend that I find interesting, a desconstructavist approach to visual design that blends elements of the 1980’s 90’s and early 2000’s into a unique style that intentionally manipulates and distorts traditional rules and ideas with a playful and experimental verve. Graphic Design Today features design trends from Switzerland, Germany and the Netherlands, France, Great Britain and the USA. Through abundant visuals and illuminating texts accompanying each featured project, and a foreword by François Rappo, renowned typographer, and teacher at ECAL Ecole cantonale d’art de Lausanne, this expansive volume provides an in-depth look at the state-of-the-art of contemporary graphic design and is going in my design library. Posted in Books, Design and Art and tagged Design, Design Book, Gestalten, Graphic Design, Illustration, Industrial Design, Interactive Design on November 1, 2016 by Author. Gestalten has a new book out chronicling the history of the Chopper. Even if you aren’t into motorcycles, the book and the video below are worth taking a look at. The motorcycle, and in this case the chopper are an iconic part of American culture. The video below is an interview with Paul d’Orléans aka the Vintagent, author of the book and gives a really nice insight into the history of the bikes and the culture surrounding them. It’s a great set up for the book, and is definitely something I’ll be checking out in the near future. Posted in Books, Design and Art and tagged Book, Choppers, Gestalten, Gestalten TV, Motorcycle, Motorcycles, Paul d’Orléans, Video, Vintagent on April 8, 2015 by Author.